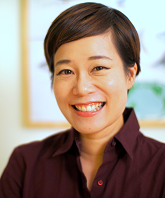 Today I’m thrilled to welcome historical fantasy author Yangsze Choo! Her debut novel, The Ghost Bride, garnered much recognition after its release in 2013 and was a finalist for several awards, including the Mythopoeic Fantasy Award for Adult Literature, the Shirley Jackson Award for Novel, and the Goodreads Choice Award for Fantasy. It is also a New York Times bestseller and was selected as an Oprah.com Book of the Week, among receiving other honors. 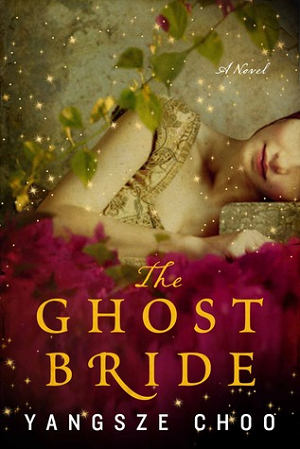 You can listen to a sample from the audiobook edition of The Ghost Bride on the author’s website (and read all about the recording process—she narrated it herself!). Where does a story begin? For me, that process is usually rooted in old buildings. I’m planning a research trip to Dalian, a city in the part of northern China previously known as Manchuria. “What will you do there?” asked a friend. I had to reply that I wasn’t quite sure, but my main purpose was to wander around and look at old buildings from the early 1900s. Once I was actually there, then I’d have a better idea (I said hopefully). Now this sort of travel planning is exasperating, especially if you’re dragging two children and a long suffering husband along with you (what better way to spend the family holiday?!) but I’m looking forward to it. Not only because I’ve already pored over the old maps and photographs of trams and Russian-inspired architecture, but because I have the sneaky suspicion that I’ll run into scenes from my new book there. When writing fiction, it’s important to get the details right so that the reader feels grounded. I’ve found that if I have a hazy sense of where places are, that translates to an even fuzzier impression for the reader. Details matter, from the colour of the sky to the exact distance when your calf muscles seize up trudging from the railway station. Above all, however, there’s the atmosphere of the place; a deep personal impression that shapes the mood and possibilities of the book. Sometimes, it’s so strong that it’s like another character. Old houses hint at stories and secrets; their rooms capture the fleeting impressions of feet that have worn down wooden stairs and hands that have polished banisters. When I wrote my first book, The Ghost Bride, I was inspired by a Chinese house in Penang, Malaysia, that had fallen into disrepair. Built by a wealthy Chinese merchant to house his extended family and consisting of courtyards and rooms upon rooms, it was like a tightly constrained world. I could almost feel the weight of family obligation—very helpful when writing the tale of a young woman who is asked to marry a dead man! The decay of the house also suggested the parts of the book which take place in the Chinese world of the dead. My second novel, The Night Tiger, is about an eleven-year-old Chinese houseboy who suspects that his master is actually a man-eating tiger. Set in 1930s Perak, I couldn’t have written it without the memory of a deserted black and white colonial house. These bungalows, left behind by the British in Malaysia and Singapore, are known as black and white houses because of their colour scheme: tropical mock Tudor dark wood, against white plaster. Some have been beautifully restored, while others lie in ruins. High-ceilinged and gracious, they have a sort of desolate charm that always makes me want to stop and look at them. When I was a child, we went one day to explore one of these abandoned houses. In hushed silence, we peeked in through the shuttered windows, imagining the parties the empty rooms must have seen. The garden was overgrown with lalang, but you could still see traces of some kind of order. Flowering bushes were planted near the front. In the back, we found some chili padi that had grown wild and reseeded itself. It was very lonely and quiet, with a bright, sunny sadness that left a deep impression on me. I wondered what happened there, and why nobody lived in it anymore. I’m not sure what I’ll find when I get to Manchuria—perhaps the hazy coalescence of a story I already have in mind, or a new tale that runs away in a different direction—but I’m looking forward to it! Malaysian author Yangsze Choo’s debut novel, The Ghost Bride, is a historical fantasy set in 1890s colonial Malaya and the Chinese world of the dead. 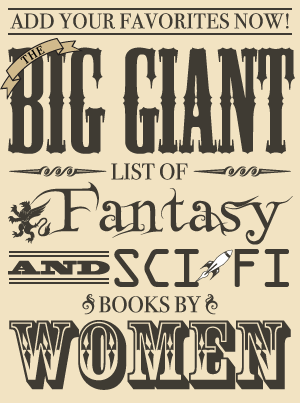 It was an Oprah.com Book of the Week, NYTimes bestseller, Indie Next List Pick, Barnes & Noble Discover Great New Writers selection, and Goodreads Choice Award Finalist for Best Fantasy. Yangsze likes to eat and read and can often be found doing both at her blog www.yschoo.com.